Creative Direction, Brand Analysis & Strategy, Branding & Packaging, Retail Design. Evolution of the Sushita logo. 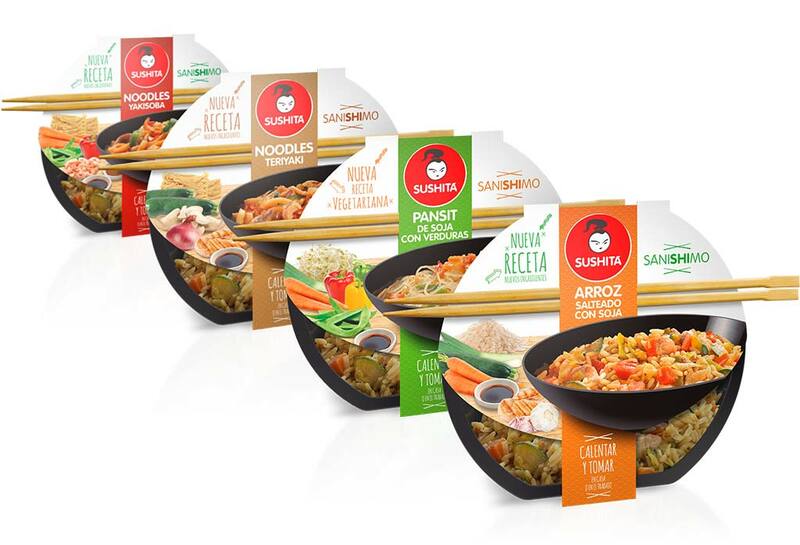 Packaging design of the Sushita Wok range.